As a country known respectively as “The land of Fire & Ice” the only way in my opinion to experience such a diverse and unique place is to immerse yourself in the natural surroundings. I wasn’t exactly going to tackle a volcano (what do you think I am, CRAZY?) 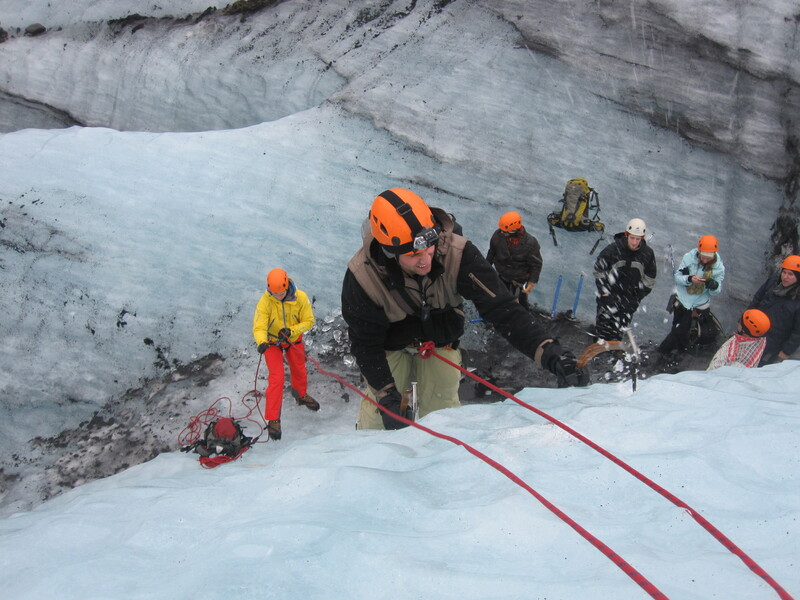 but the idea of hiking and ice climbing on a glacier had my heart racing with excitement. Let me first tell you that I have been dreaming of going to Iceland for many years, and all the photos and anticipation that lead up to this trip made for high expectations. Those expectations were surpassed as soon as the sun rose the first day and cast a pink and orange hue across the land, revealing a landscape of epic proportions. As I overheard a number of times from many people during my time in Iceland, you really can’t explain the beauty of this country, you just have to experience it for yourself – I was going to do just that. The capital of Iceland – Reykjavik. Departing from the capital city of Reykjavik before the sun began to rise, my bus arrived with an adventurous group who probably had as much sleep as I did (4 hours best on my part), but that wasn’t going to stop us from imprinting our own mark on this remarkable country. The team consisted of mostly participants from the Mid-Atlantic Trade-show which I to was attending. A free spirited lady from Denver, a young adventure seeker from the U.K, a fellow Canadian (YEA), a gentleman from Stockholm, a New Jerseyan, a New Yorker and a Lithuanian butcher (please don’t hurt me). I’m not going to point any fingers but one of us was not like the other. 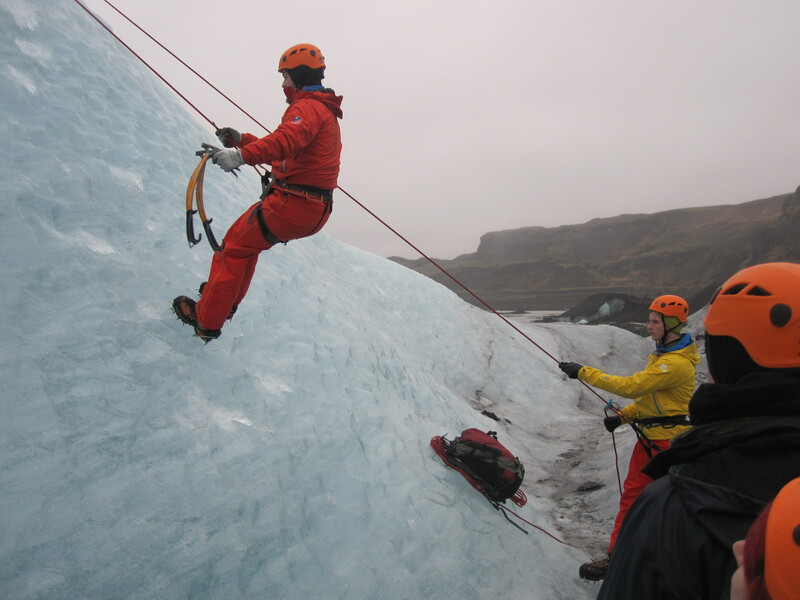 Someone should have done their research – when the tour says we are going to be “Ice climbing”, chances are we are going to be, well “Ice climbing”. Being Canadian I’m expected to be the peace keeper, so we won’t dwell on that situation. Not long after leaving the city the sun began to rise and illuminate a stark and barren landscape. The sky was far from clear, lingering mist and partial visibility would be more accurate, but to me it added to the mystic of such an unreal landscape. One of the first things I noticed was the lack of trees. That is something I am not used to. Back home in Nova Scotia we have forest upon forest, the only patch of trees I recall in Iceland was near the Blue Lagoon, about 3 buses long and as wide as a town house. You couldn’t even build a tree fort in that patch without being spotted. I’m told Elves live in these mountains – You’ve got me convinced. We drove in style in our 20 passenger Mercedes Benz Sprinter van with our guides Simmi and Gestur from Arctic Adventures http://www.adventures.is/. They shared stories with us about the intriguing and diverse landscapes that we passed as we drove toward the southern part of the island. Jagged cliffs penetrated and rose from the yellow moss farmlands, a cool and eerie mist clinging to the rock face as waterfalls exploded from high above, vanishing before reaching the valley floor before as a result from the strong winds coming off the Atlantic ocean which stretched out on our right. And within the blink of an eye, the scene before us changed. For now we were crossing a lava field. Think the flatness of the Canadian prairies laced with giant black boulders and milky aqua colored rivers rushing turbulently towards the sea. 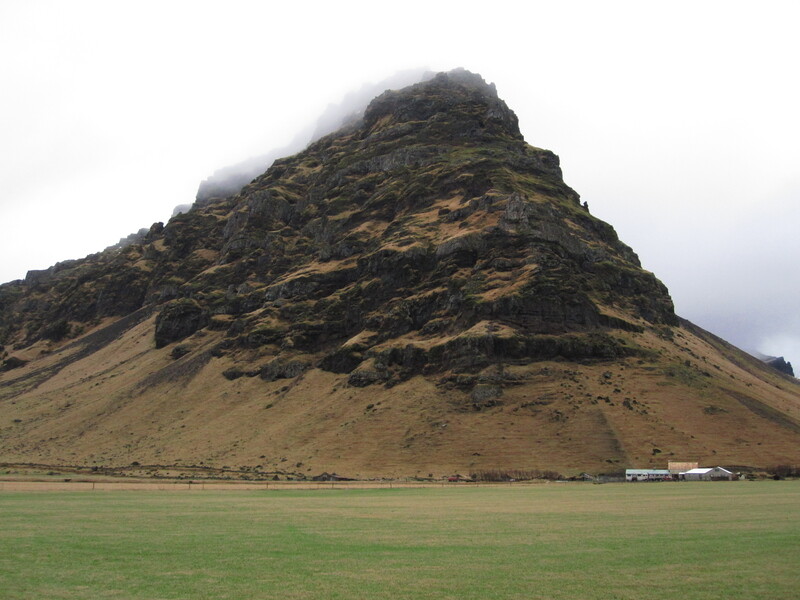 Iceland is said to have about 130 volcanic mountains, of which 18 have erupted since the first settlement in the second half of the 9th century, making it one of the most active volcanic islands in the world. The land here is very much alive and constantly changing as a result from these elements. 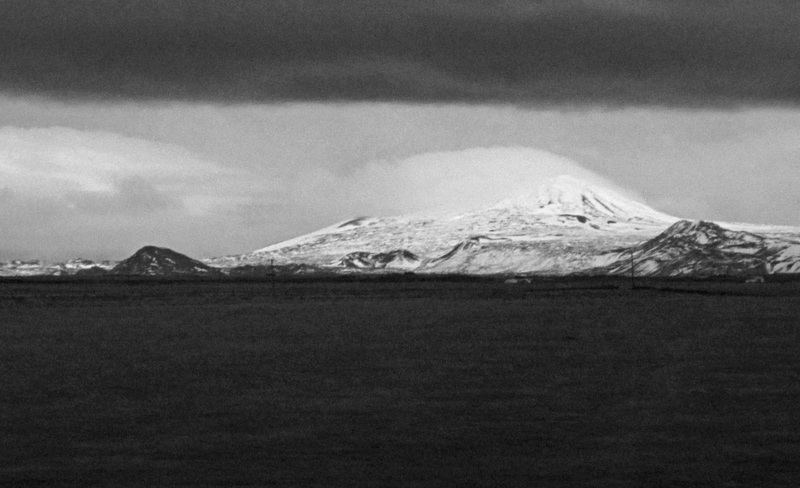 Mt Hekla “Gateway to Hell” – 4892 ft volcano in Southern Iceland. Ash clad mountains from 2010 Eyjafjallajökull eruption. 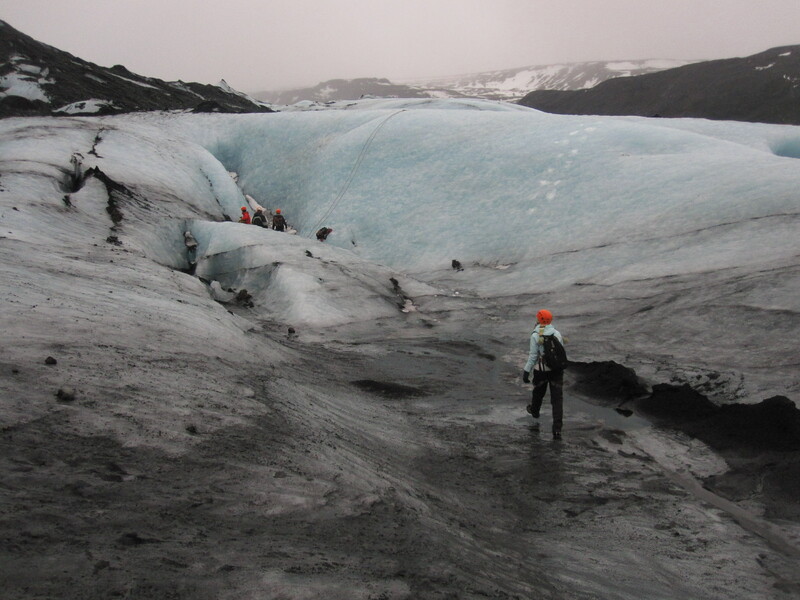 A rough beaten road brought us to the tongue of the Sólheimajökull Glacier, which is part of the Myrdalsjokull ice cap. 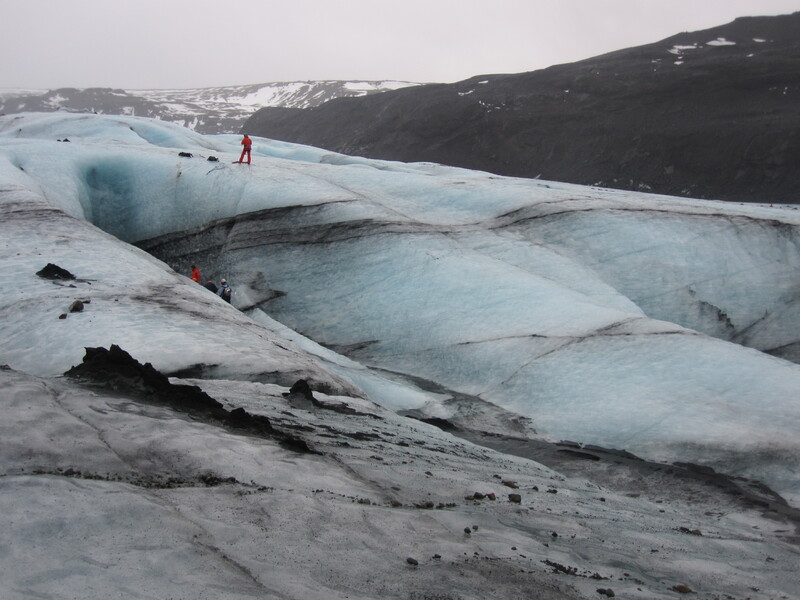 At 590 km² it is the fourth largest glacier in all of Iceland and covers an active volcano named Katla, she erupts every 40-80 years on average. The scenery was remarkable, resembling a mix of coastal Newfoundland, the Scottish Highlands, glaciers from the Rockies and black molten mountains imported from some far away planet that man has yet to discover to complete this striking landscape. The tongue of Sólheimajökull glacier extending down into the lava fields. Our guides measured and sized us up and pass to us our weapons for the day – an ice ax, helmet, climbing harness and a pair of crampons. Trust me when we got geared up, we looked super COOL. We made our way across the lava fields and towards the glacier. 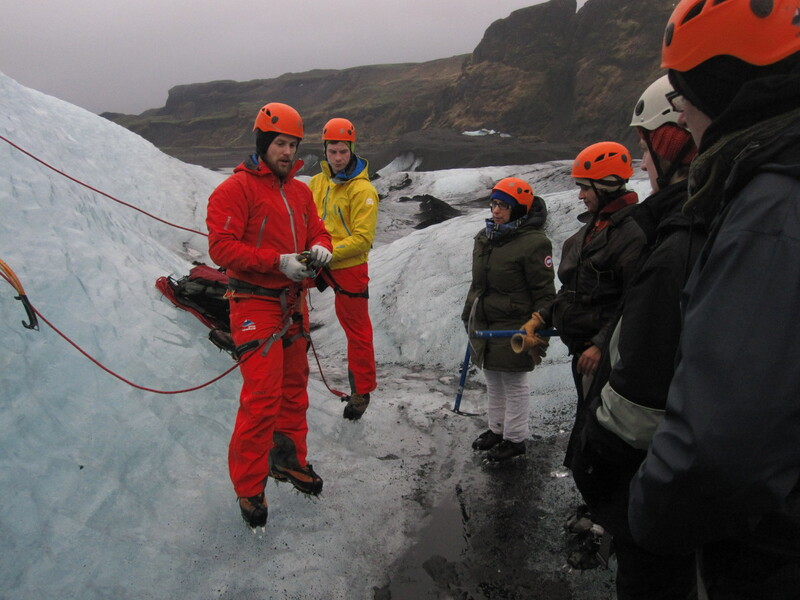 Here we had our safety briefing and instruction of how to walk and navigate while on this GIANT piece of ice. This was very important as what may look like a puddle of water on the glacier could actually be a hole that is several meters deep. This also applied to patches of snow, avoid them at all costs or you may end up in a deep crevasse – fair enough, I won’t go playing in any puddles today. As we made our way across the glacier, the contrast of colors all around us was astonishing. The previous nights rain cleared most of the snow from the glacier, as a result there were places that you could see 3-4ft down into the ice, almost resembling a high quality diamond. 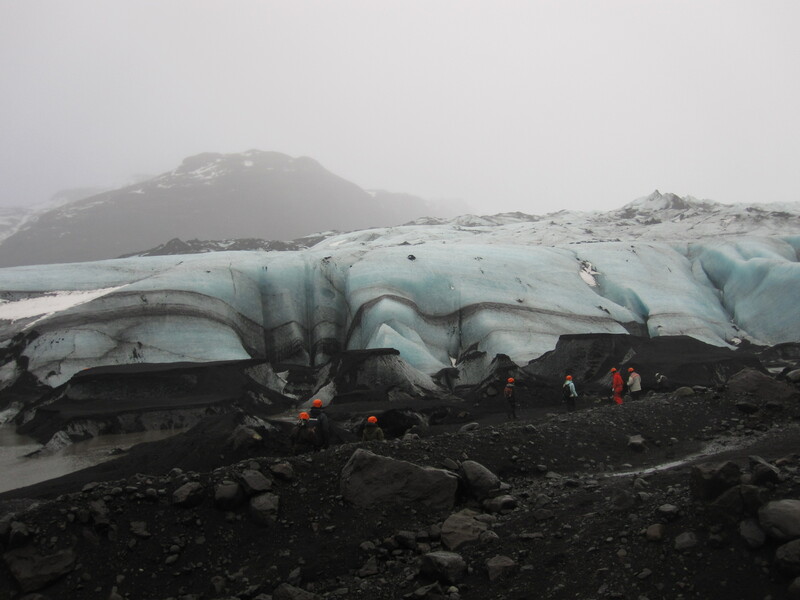 The glacier was littered with ash and basalt rocks from previous volcanic eruptions. In fact the blackish mountain to our far right was made up completely from the build up from volcanic debris. Ice and volcanic ash mix make for some cool scenery. Our climbing wall within reach. Before we knew it we were heading down into a crevasse like feature in the glacier. Our guide Gestur began setting up the lines for our climb while Simmi gave us some important tips on how to attack the wall and the use of our ice axes. Our English friend went first and she set to the tone for the rest of the group. We all had our turn at this energizing activity, and let me tell you, it wasn’t an easy task for most of us. A few of us made it look quite easy – I wasn’t one of them. I had the ice ax part down but kicking those crampon spikes into the face of the ice for your footing was hard work, or as one lady put it while clinging to the wall “it’s harder than it is”, we all had a great chuckle. 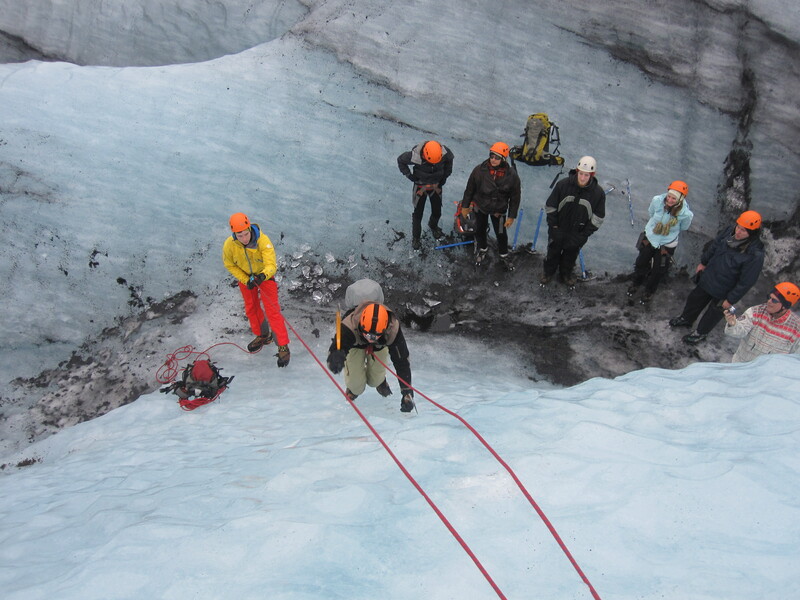 As the next person took the ice axes in hand and began to climb, we all cheered and shouted out encouraging thoughts, most of us meeting for the first time that very day, but that didn’t matter, for we were a “Team” in that moment. I look like a BADASS right now. All this hard work made for a hungry team. We had lunch which was packed by our guides and began our drive back toward the city. 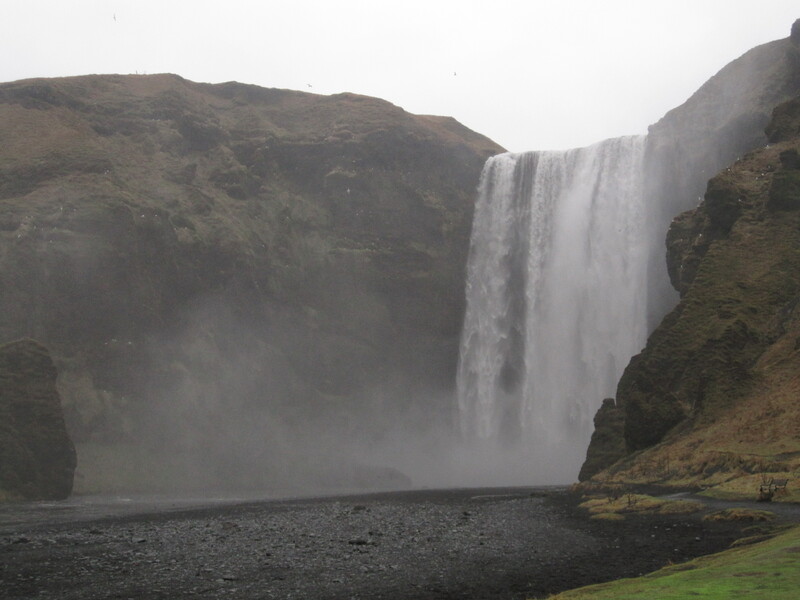 Along the way we stopped for some local Icelandic beer and to wet our appetite with a visit to 2 of Iceland’s most famous waterfalls, Skogafoss and Seljalandsfoss. Another group on the advanced climbing wall. We climbed those stairs like it was nobody’s business. About half way up we paused for a moment, had a laugh and agreed this may not have been one of the best ideas. Those thoughts all but vanished when my lungs stopped burning and we were at the top of the falls looking down the cascade where sea birds flew through the mist and sat nestled along the steep cliff face. Well worth the effort and we made it down in record time before our 20 minute time limit for this stop was up – high five Marjanna. The falls from above – sorry we had to do it. The next waterfall Seljalandsfoss provided a rather unique experience. 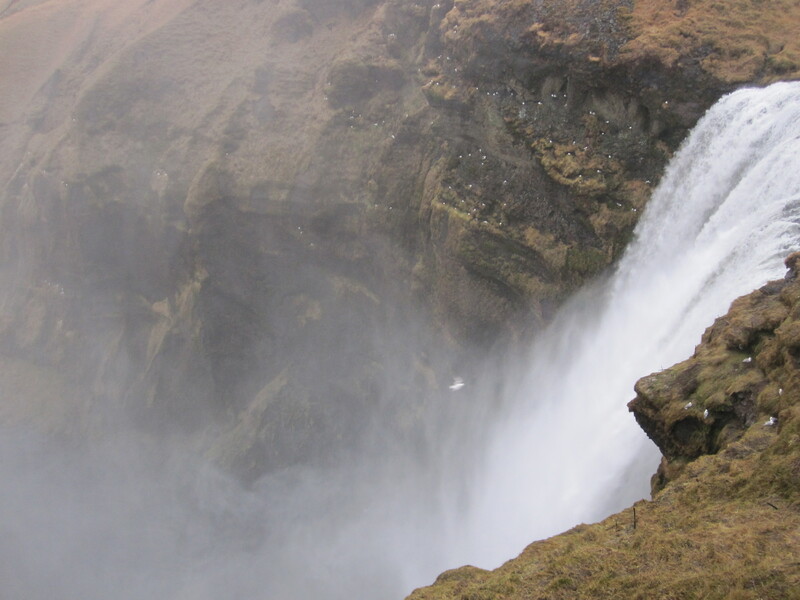 This 60m waterfall leaps over the cliffs egde in dramatic fashion, crashing violently into a deep dark pool below. A trail leads up to the falls and in behind the cascade itself. This is truly a close encounter with mother nature and feeling the spray off this waterfall is invigorating as the deafening roar of the water crashes in the pool before you as you get soaked from head to toe – simply amazing. 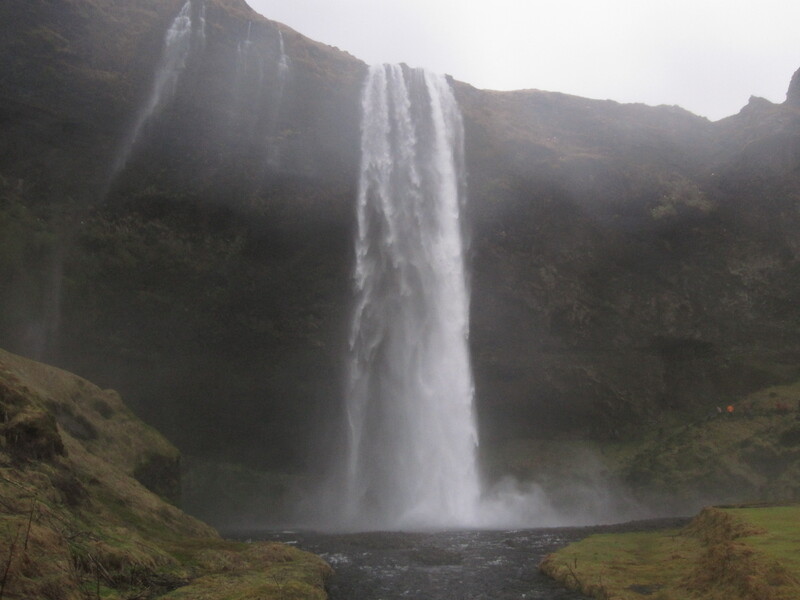 The Seljalandsfoss from the front-side. And then from the back-side. In the short time I spent in Iceland I learned many things about the culture, people and landscapes that shape this fascinating and ever changing island in the middle of the Atlantic. In essence I learned something about myself, as travelling seems to do for the adventurous soul. Really nice pics and story. Love to see some video too! Thanks for sharing, due to health limitations, I am the real “arm-chair traveler”. Nice article and great summary of the day. Spectacular pictures. I envy the fitness level required for this excursion. Your photos are amazing and the weather looks as though it cooperated. The glacier pics are so uniquely, hauntingly beautiful. Thanks for sharing. 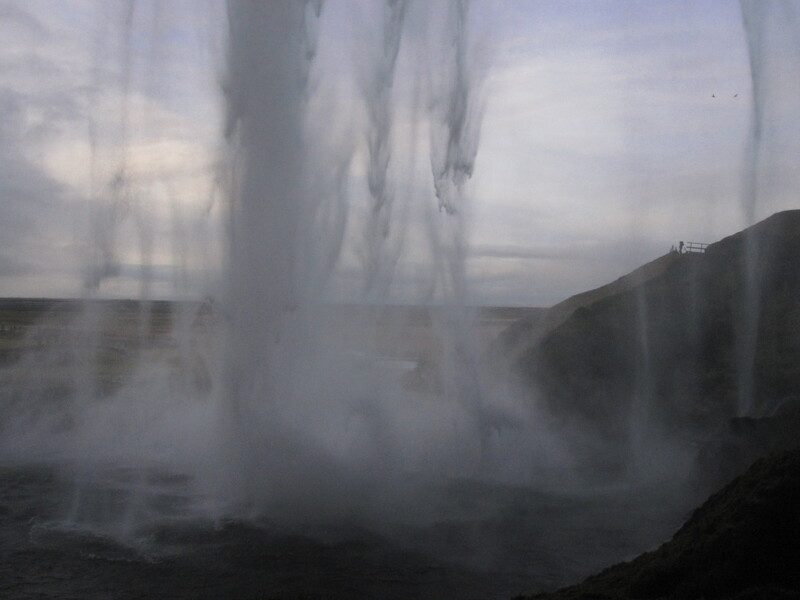 Isn’t Iceland an unforgettable, life-changing place? I’ve traveled Iceland a few times and the memories have left me, they remain vivid. Great article and nice pics! Thanks for taking the time to enjoy my blog. What a country and looking forward to returning next year for more adventure in this extremely strange yet invigorating landscape. I am planning on going back to Iceland next year. The country left an impression on me that lives in my daily thoughts I am would like to traverse the country from East to West with nothing but a backpack and some essentials. One place everyone should experience no matter what your fitness level or travel experience. Get frontline travel insight, stories, tips, and promotions for Nova Scotia and beyond. Ryan Barry on Pollett’s Cove, Nova Scotia – The stuff that dreams are made of. Paul Desveaux on Pollett’s Cove, Nova Scotia – The stuff that dreams are made of. Ryan Barry is the owner of an adventure tour company – Great Earth Expeditions in Halifax Nova Scotia, Canada. His knowledge and travel experience has contributed to his success in becoming a college instructor for the tourism program at the NSCC Akerley campus. He lives and breathes the great outdoors and now shares his travels through writing on outdoor pursuits, active living and nature photography from around the globe.